The Jive Aces are coming to Stamford Corn Exchange. The Jive Aces - the UK’s No.1 Jive & Swing band - bring their show to Stamford’s Corn Exchange on Friday (23 January, 7.30pm). They are renowned worldwide for their high-energy swinging music, spectacular live show and being the first live band to reach the final rounds of “Britain’s Got Talent”. 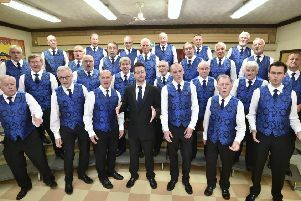 Mack The Knife; Sing, Sing, Sing; and their hit version of Morcambe & Wise’s Bring Me Sunshine. Tickets: £15.00 (Concessions: £14.50) from the box office on 01780 766455).